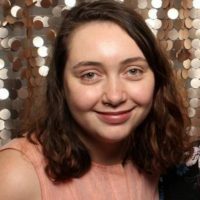 Rebecca Langman is a peer worker and aspiring future psychologist from South Australia with a lived experience of mental ill-health. She has a Bachelor of Media Arts (Performing Arts) and is currently undertaking a Bachelor of Psychological Science with a focus on counselling and adventure therapy. Rebecca is currently employed as a Peer Specialist within SA Health. In 2017, Rebecca partnered with Orygen, The National Centre of Excellence in Youth Mental Health to present a seminar on the importance of youth participation in mental health services to South Australian Health staff. My journey of mental ill-health began slowly when I was an adolescent at high school in South Australia. I had all the textbook symptoms of an emerging mental health problem; sleeping through the day, poor school attendance, handing up every assignment late due to an overwhelming lethargy that controlled me. Despite this cookie-cutter example of depression in an adolescent, my teachers either didn’t notice or didn’t have the knowledge and resources to reach out to me. This left me as an unwell adolescent transitioning to a young adult in their first year of university; a journey which led me to being acutely unwell and attempting to navigate the complex mental health system for the first time on my own. I was harbouring an internalised stigma about mental ill-health, fuelled by an environment where mental illness was not openly spoken about. I was confused and scared by my out-of-control feelings. The stigma I felt meant it took me a full year to make an appointment with a GP and take the first step in receiving psychological help. By this point my illness had spiralled out of control and I was presenting to the emergency department and engaging in self-injury. My recovery journey has been incredibly difficult and filled with moments of despair that I would never get better. It has been eight years since my symptoms first emerged and I have survived a roller coaster of emotions and experiences in that time. In the darkest moments, I reached out for support through emergency departments, mental health triage phone lines and online chat services, but I was never able to speak to someone who truly understood how I was feeling. I believe the role of a lived experience workforce would have transformed my experience of mental ill-health. I believe the role of a lived experience workforce would have transformed my experience of mental ill-health. If I had been able to interact with a peer worker; a person with a lived experience of mental illness, I believe they would have inspired a sense of hope and encouraged my recovery at a moment in time that I felt hopeless and doomed. As a young person who grew up in a time where mental health was not openly spoken about, I truly felt I was the only person on earth feeling the way I did. The support of a peer worker might have provided a light in the darkness that was my illness. While the evidence base for the effectiveness of peer work is emerging, early research has identified positive outcomes. A report by Health Workforce Australia  found that peer work significantly reduced hospital readmission rates compared to the general population. The Australian Government has supported the presence of lived experience in health care through the 2010 National Standards for Mental Health Services , Standard 3 states: “consumers and carers are actively involved in the development, planning, delivery and evaluation of services”. Peer workers can now be found throughout the public mental health system and non-government organisations . While I was not fortunate enough to have received peer support when I was unwell, I have arrived at a point in my recovery journey where I have begun to provide peer support myself. I work in a community-based setting, helping consumers achieve their goals toward recovery and ultimately live the life they want to live. In the past I have felt resentment towards my mental illness, recalling moments where I was unable to achieve my goals due to my symptoms. My employment as a peer worker has allowed me to develop a sense of appreciation and gratitude for my lived experience. I believe that the presence of a lived experience workforce is vital in not only mental health services but any area of health care where it can be facilitated. Western Health in Victoria has run a peer support program for people who have survived Intensive Care Units (ICU) . The Royal Children’s Hospital in Melbourne has been running the ChIPS program, for adolescents with a chronic illness, for over 20 years . Diabetes Australia found that almost 70% of people with diabetes found peer support helpful in their self-management of the illness . In a world where the voices of young people are rarely prioritised, this program is vital in empowering young people to have a say in the services that service them. In my role as a member of the Youth Advisory Council at Orygen, The National Centre of Excellence in Youth Mental Health, I have been able to see first-hand how the inclusion of those with lived experience can improve mental healthcare services . During my time as a member of the council, I have presented to the SA Health youth mental health workforce on the importance of youth participation in designing and facilitating their services. My voice, as a young person and someone with lived experience of mental ill-health, has been heard throughout the organisation in research, policy and campaigns. In a world where the voices of young people are rarely prioritised, this program is vital in empowering young people to have a say in the services that service them. Events such as the Inaugural Youth Health Forum, facilitated by the Consumers Health Forum of Australia, will bring the voices of young people and their lived experiences to the forefront of healthcare service design and delivery . My vision for the future of healthcare in Australia is a system that prioritises the role of lived experience workers throughout services, whether it be in emergency departments or community support groups. Working alongside medical and allied health staff, the lived experience workforce can provide an authentic, empathetic experience to consumers in need.